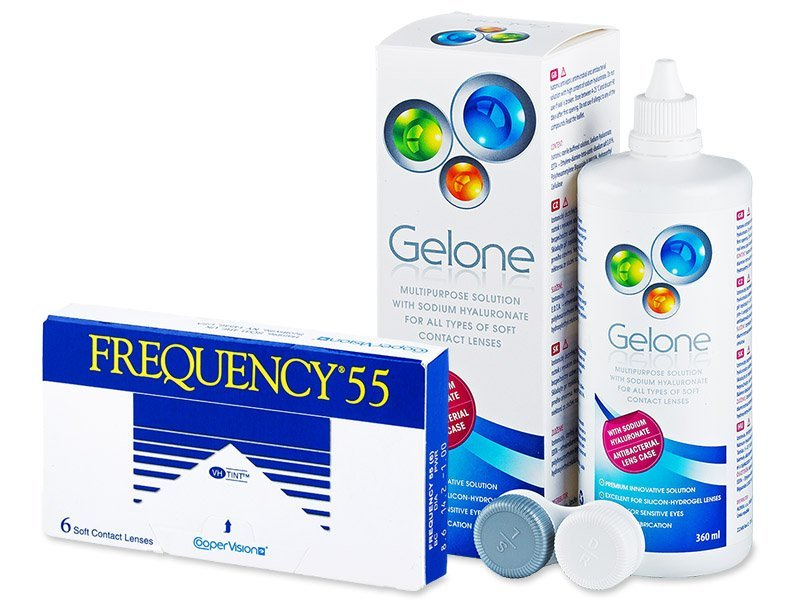 Our value pack of Frequency 55 lenses contains a 360 ml bottle of high-quality Gelone solution. Frequency 55 lenses have been discontinued, so stocks may be limited. Frequency 55 contact lenses by CooperVision are intended for daily wear with a monthly replacement schedule. At the end of the day, they must be removed, thoroughly cleaned and stored in a case with solution overnight. Frequency 55 contact lenses are slightly tinted for better visibility and handling. Please note these lenses have been discontinued by the manufacturer, therefore availability is limited.